Christmas is around the corner and everyone is lighting up their Christmas Trees to mark the start the Holiday Season. Resorts World Manila (RWM) is of no exception. 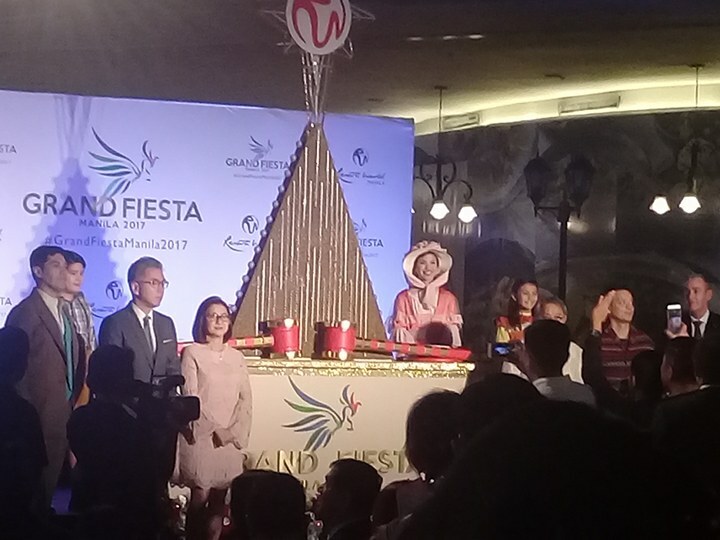 For RWM, the tree symbolizes also the start of their celebrations entitled "Grand Fiesta Manila 2017". Its a five week holiday fiesta that features numerous special events and world-class entertainment offerings for the whole family during Christmas Time. 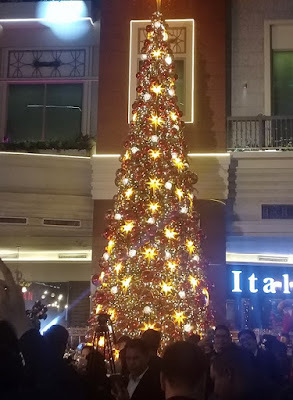 The cast of Chitty Chitty Bang Bang wowed the crowd for this Christmas Tree lighting while the Los Cantantes De Manila Youth Choir provided the yuletide spirit with their carols. Specials and activities lined up as of now are Maxim's offer to its customers. Patrons can create their own christmas gifts and hampers until the new year. Meanwhile asian fusion restaurant Ginzadon downplays their eat all you can Japanese and Korean dishes for Php888 per person. If lobster is your thing, Cantonese restaurant Passion offers their Lobster Festival for only Php990++. Exclusive shows at House Manila highlights the season with American rapper Tyga on December 1. Another rapper Rich Chigga with Higher Brothers and Joji fills the stage for their 88Rising Asian Tour on December 13. Jon Santos fills the air with laughter at the Mariott Grand Ballroom with a show called "Laugh Wins" on December 2. Grand shows at the New Performing Arts Theatre (NPAT) will present a showcase with Ogie Alcasid's "The Soundtrack of My Life" concert November 30. Bamboon in the Oven Tour on December 7, Dingdong Avanzado and Jessa Zaragoza meanwhile celebrates their 20/30 anniversary concerts on December 8, Manila sound with the Hotdogs on December 13, While Aegis caps the bandwagon on December 20. 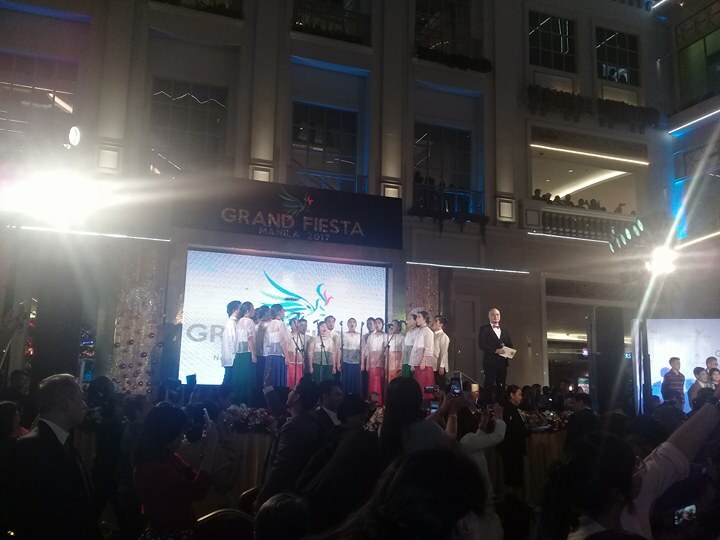 The Manila Grand Fiesta will end with a bang on New Year's Eve with a grand party on December 31. Joining RWM for the countdown are notable artists in Lani Misalucha, Arnel Pineda, Darren Espanto, Giselle Sanches and Jon Santos. Visit www.rwmanila.com or call the Tourist/ Visitor hotline at (632) 908-8833 for more on the 2017 Grand Fiesta Manila: Funtasy Fair at Resorts World Manila. RWM is the first one stop non stop entertainment and leisure destination in the Philippines that features recreational thrills, world class performances, unique events, and exciting lifestyle options. They are also home to the Newport Mall which houses international luxury brands, state of the art cinemas, award winning concert venues in Newport Performing Arts Theater, and entertainment hub.